Daniel Ricciardo has revealed his frustration at the current market for driver transfers and a move to Mercedes or Ferrari that failed to materialise after he made the decision to leave Red Bull, as he believes they will once again be the two teams to beat in 2019. During the 2018 season, Ricciardo announced he would be leaving Red Bull in favour of Renault, despite the French team being viewed as a midtable outfit. 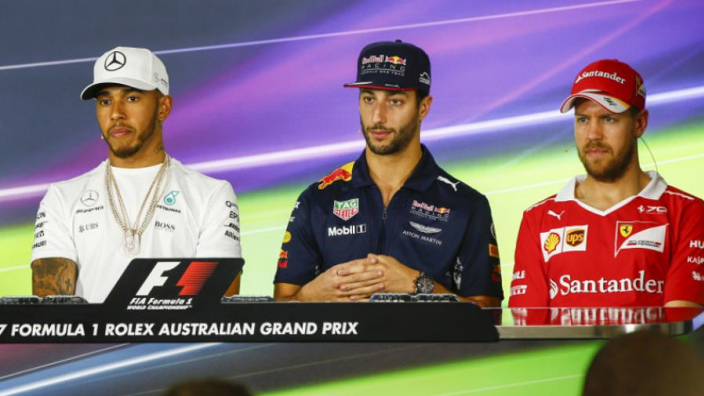 During an interview on Natalie Pinkham's In The Pink Podcast, Ricciardo responded with regret when asked he was frustrated that he didn't get a move to one of the two elite teams. “Yes – to answer it bluntly," the Australian said. Last campaign Ricciardo won two out of the opening six races, meaning his stock was high, and he has admitted his surprise that no subsequent offers came in. “Especially after the first six races,” he responded when asked by Pinkham about whether he thought more options would be presented. Ferrari shook up their driving line-up by replacing Kimi Raikkonen with Charles Leclerc, while Mercedes are one of the few teams who made no changes, with Valtteri Bottas being retained alongside Lewis Hamilton. In Ricciardo's opinion, that was a "conservative" move by the Silver Arrows. “He’s [Leclerc] a young up and coming prospect, and maybe that was part of their plan all along, regardless of what my results were and what his results were,” he continued.